Dr. András Fenyvesi's practice focuses on Hungarian corporate and business law including international matters, cross-border trade, real estate and immigration matters. He has represented clients before every level of Court in Hungary, including the Supreme and Appellate Courts. 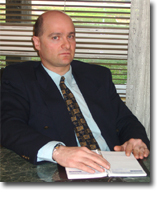 Connected to his legal practice are activities as Vice President of the Hungarian-Canadian Chamber of Commerce based in Montreal, Canada. As dual Hungarian-Canadian citizen, he also deals with legal matters with the Chamber. Additionally he is member of the Canadian Chamber of Commerce in Hungary and The Chamber of Commerce Calgary as well. Dr. Fenyvesi received his Doctor of Laws degree from the University of Miskolc, Faculty of Law. He is a member of the Budapest Bar. 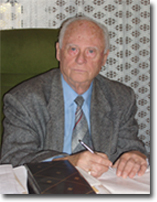 Dr. Andor Fenyves (1927-2007) was the founder and the senior partner of the Law Office. Dr. Fenyves had more than 50 years of professional experience ranging, from corporate law, civil law, family law to criminal law. He had honoured and important activity in the life of the Budapest Bar leading the senior lawyer's section. He pursued his professional practice along with his activities at the Bar until he passed away.